Vatican Stones are fossils of an ancient horn Coral species, Dibunophyllum bipartitum. This species thrived during the Carboniferous Period (359-299 million years ago). 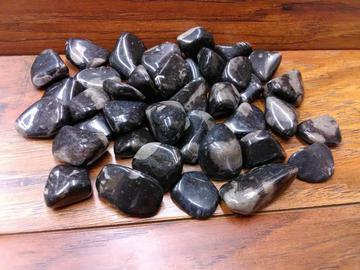 Vatican Stone is used by metaphysical healers to treat hearing disorders and to bring renewed vitality to aging bodies. It is believed to treat bone and spine disorders and injuries. It is also said to be good for carpal tunnel syndrome and other muscular disorders. Size - 1" - 1 5/8"